Guided tour which includes ground floor rooms – oratory of the chateau chapel and two hunting rooms, and part of the first floor – big and small room, study, cloakroom, bathroom and bedroom of the princess, second floor of the north-west wing – bedroom, room of the prince and study, room of the nanny in the tower. This tour includes the cellars and the north part of the corridor on the ground floor and adjacent rooms – the chateau silversmithery and Capuchin rooms. 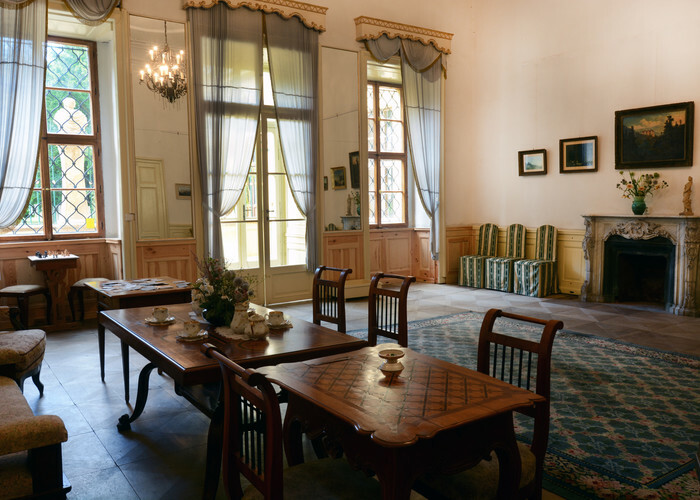 There are seasonal exhibitions in the corridor and models of chateaux in the Czech Republic, findings from Jezeří Chateau and its vicinity in the Capuchin rooms, and an alchemist’s room. In the silversmithery there is an exhibition “Castle from the Lake” or “Proud Seats of the Powerful in the Most region” with examples of the material culture of every day life. 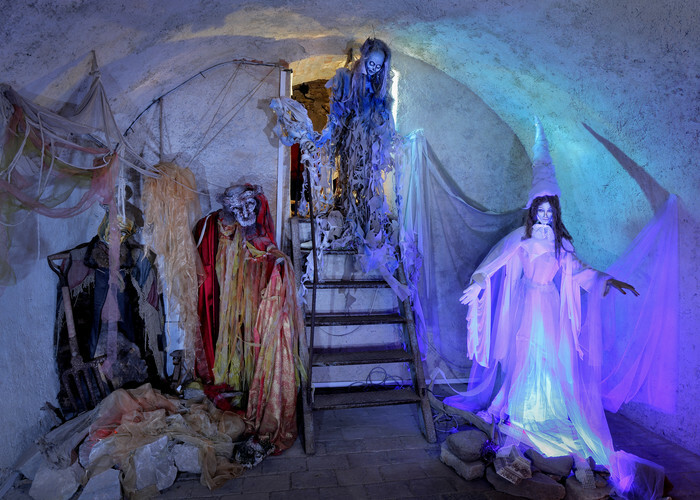 Fairytale creatures and ghosts await you in the cellars.